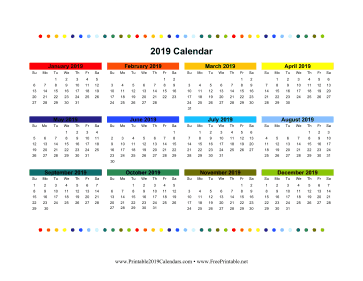 Each month is decorated with a different, bright color in this beautiful, one-page printable calendar for 2019. It also features cute, colorful polka dots. Free to download and print.